Appliance Repair Edison is all about customer care. We love what we do and it shows. Our company has one goal. We want to provide our customers with the best service in town. Reaching this goal is not always easy. It takes hard work. We are not afraid to get our hands dirty. You can count on us to respond quickly to fix any appliance in your home. We fix large and small appliances fast. Contact us for the best appliance service in Edison, New Jersey. Our appliance experts provide out stand customer care. We install and repair all brands of home appliances. Do you need a gas appliance installed? We are the team to do it. Our techs have the experience and skills to do the job right. 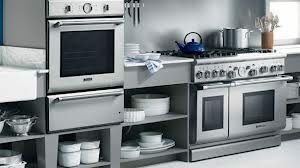 We offer excellent range, oven, and stove installation service. You can also call us to install your dishwashers, fridges or freezers. We provide very reliable home appliance repair service. We are the company to call for washer & dryer service. Our washer and dryer repair is outstanding. Our techs service top and front load appliances. We keep plenty of factory-certified parts on hand to make fast repairs. Our appliance technician will fix all kitchen appliances. We are proud to service any make or model. Our appliance specialists provide emergency fridge and freezer repair. You don’t want the temperature to rise in these appliances. Your food could spoil. Don’t let that happen. Give us a call and we will rush to the rescue. Call us to fix your leaking dishwasher. Let us provide affordable microwave repair. There is not a residential appliance we won’t service. We have the know-how. Our training is always up-to-date. We are the one-stop shop for repair service. Call a company where every repair is considered an emergency. Turn to Edison Appliance Repair for service you can trust.